Infuse your business cards with your own personal style to make it stand out. For a large quantity of cards for a business or major corporation requiring exact logo and color matching, we print longer runs in specific corporate colours (PMS Colours). There are a variety of textured, coloured or recycled boards with a variety of finishes, gloss and matt laminating, foils, embossing and Spot UV coating. For short run we offer our Full Colour Digital service on various stocks with the option of laminate. 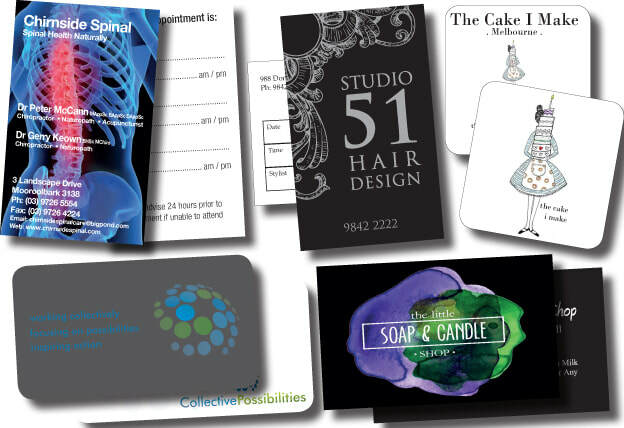 Business cards can be designed to closely match your existing general stationery.